From being great friends to worst enemies, their friendship fell apart quite rapidly. Here is a timeline of events, showing the ups and downs in their relationship from 2016 to 2018. 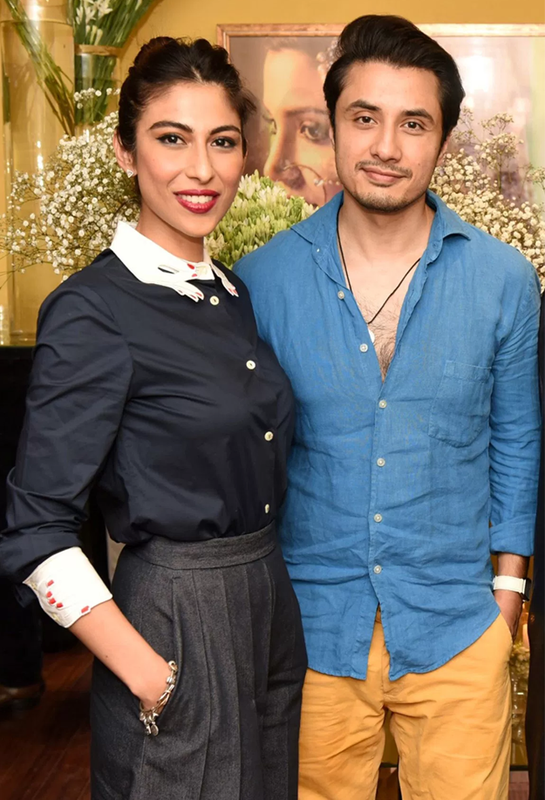 The Sun Ve Balori singer uploads a picture of herself and the accused on her official Facebook page from what appears to be a party hosted by the latter for his wife, Ayesha Fazli, at their private residence. 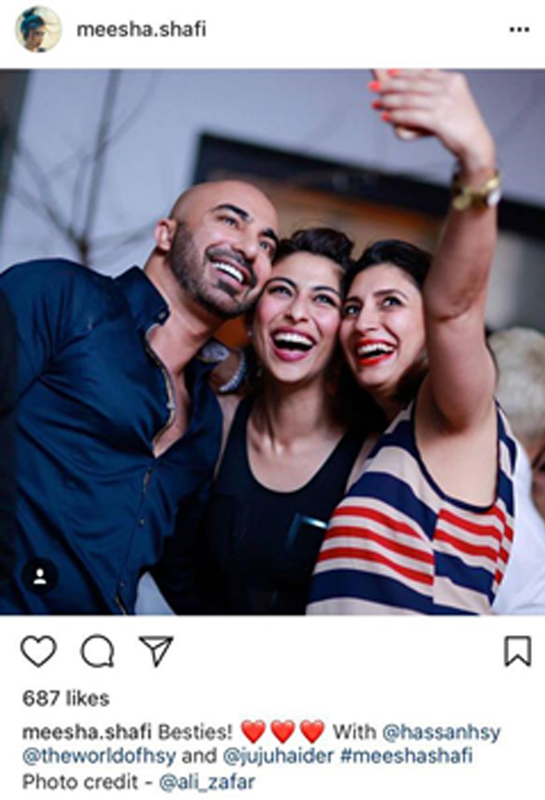 Meesha then posts a picture on her now deactivated official Instagram account with fashion designer Hassan Sheheryar Yasin and Hair Stylist Juju Haider – the picture was taken by Ali as per Meesha Shafi’s caption credit. 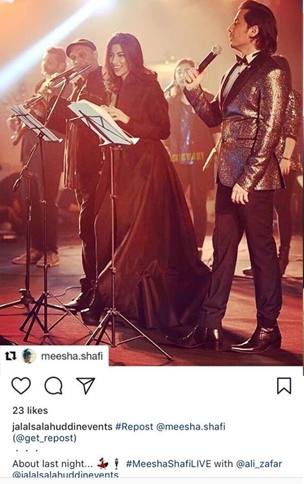 Meesha posts a picture on her Instagram account featuring the singer along with fashion designers HSY and Kamiar Rokni from Lux Style Awards. 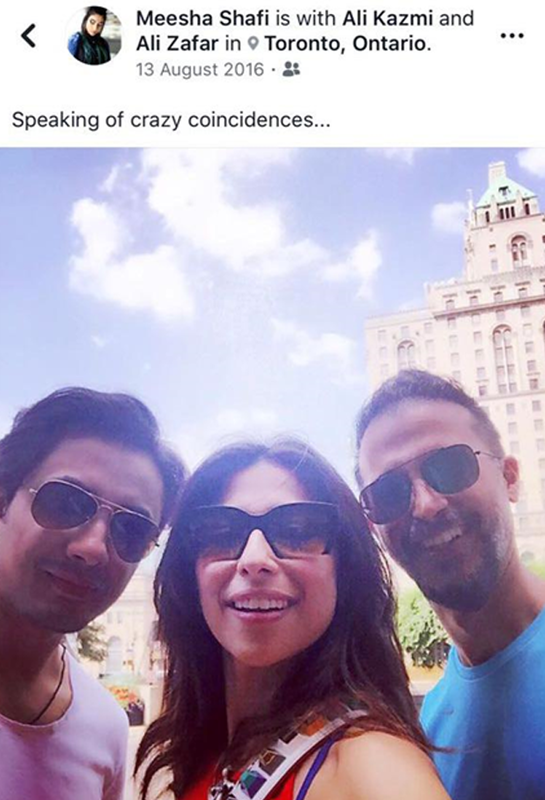 In the same month, the Lariyan singer also posts a picture on Facebook with the Teefa In Trouble star and Ali Kazmi after meeting up with them in Toronto. 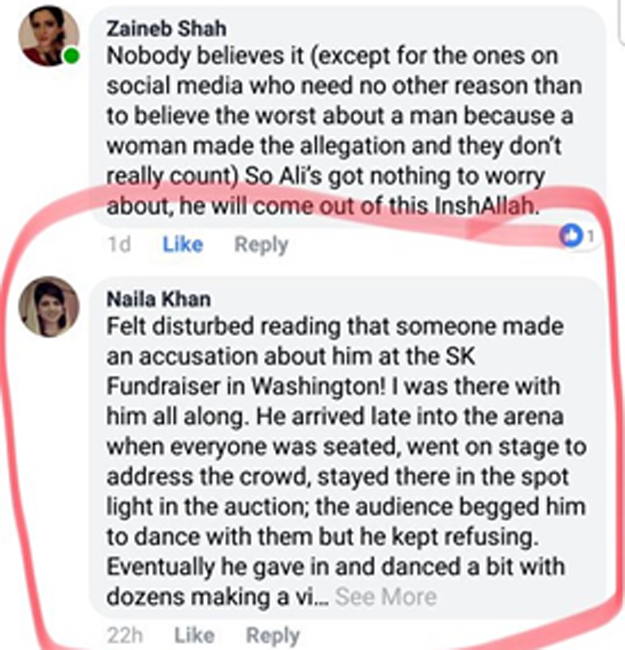 Mahmood Rahman, Meesha’s husband is allegedly hired by Ali as his sound engineer for a concert in Toronto. Ali and Meesha perform at Hum Style Awards independently. 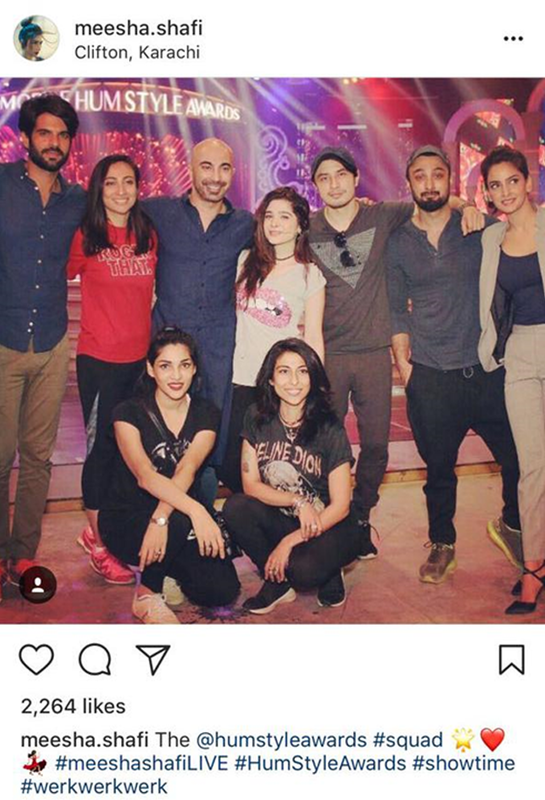 Meesha posts a picture from the rehearsals which also includes Ali. 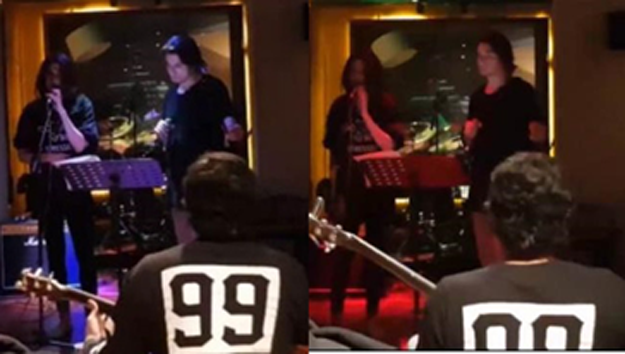 Meesha attends a jam session at Ali’s residence in advance of a concert they are to perform together. It is allegedly at this jam, according to an interview with Meesha, that a second and final incident of harassment occurred. 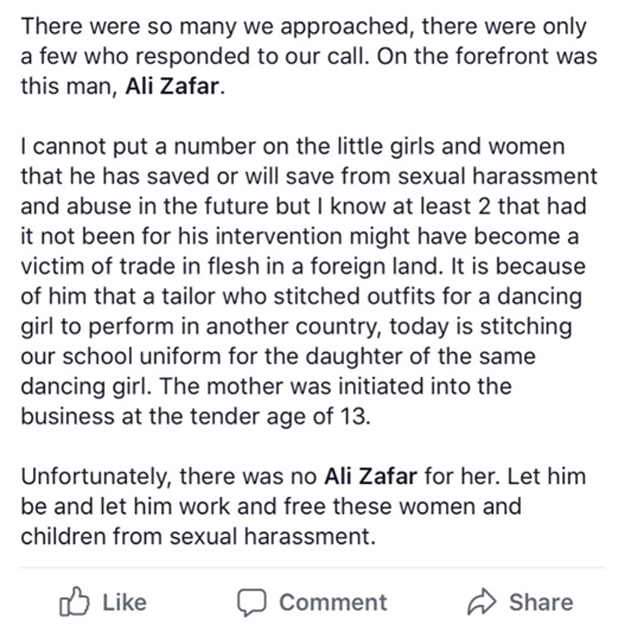 Details of the first instance of harassment are unknown. Meesha performs her concert at an event in Islamabad. 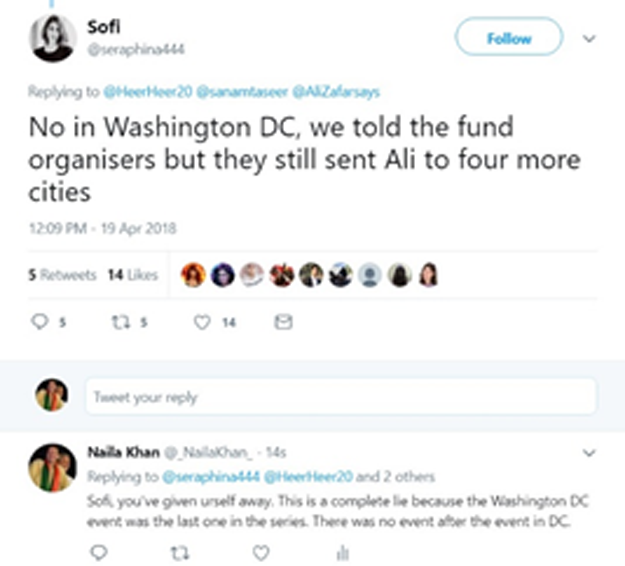 Ali performs his concert at the same event independently. They both come together at the end to perform. 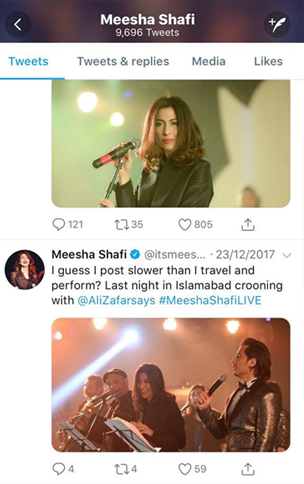 The same night of the concert Meesha tweets and posts a picture from the concert. The tweet has since been deleted. 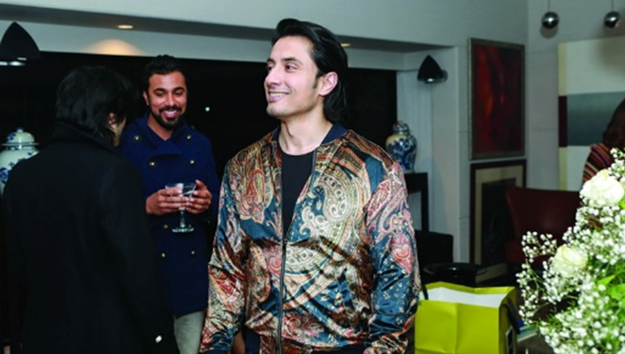 The singers both independently attend a private party by a fashion designer in Lahore. 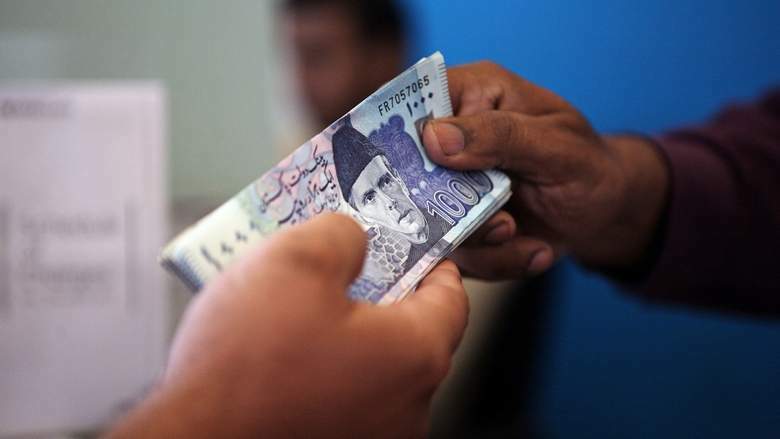 Eye witness accounts from those present, who spoke to The Express Tribune, suggest that the two were seen dancing together. 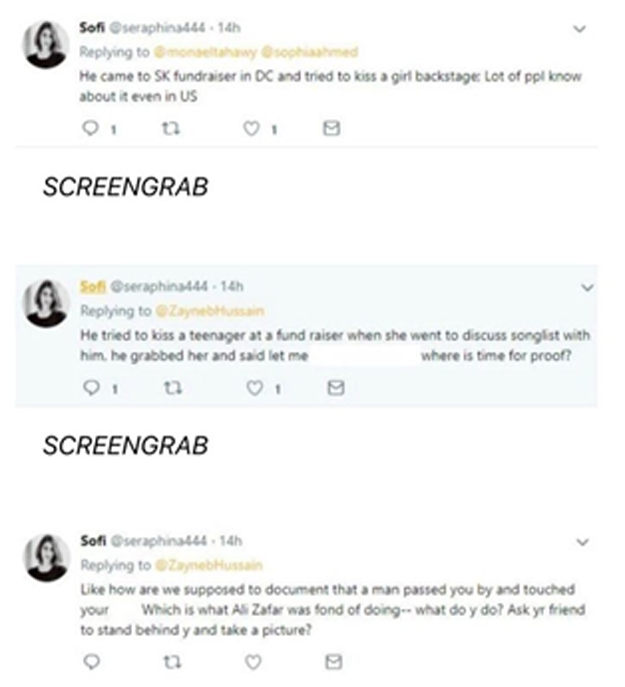 Meesha takes to social medium Twitter to allege that Ali has physically harassed her on multiple occasions. 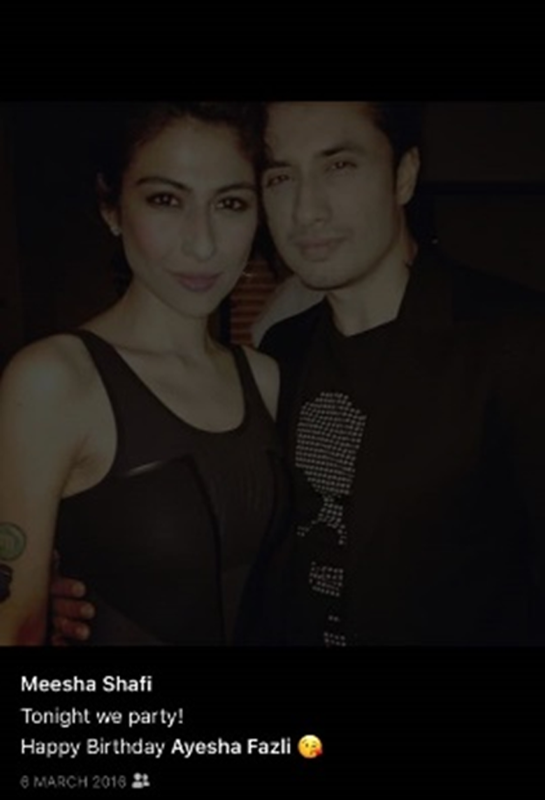 Ali takes to Twitter to respond to Meesha’s allegations and says he will take her to court. As the events unfold, many celebs came forward to support either Ali or Meesha. 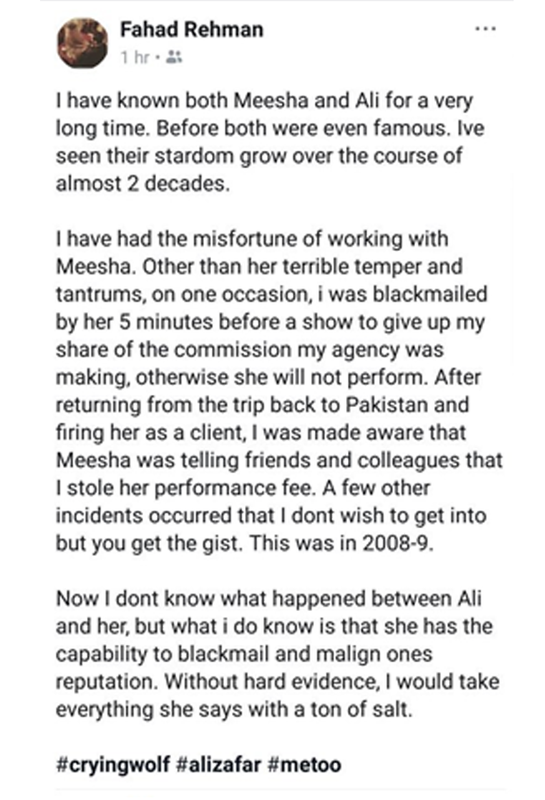 While some claimed to ahve known the Jhoom singer for decades and believe he is incapable of doing such a thing, many others backed Meesha for calling out fellow colleagues. Mahira Khan speaks up about how imperative it is to share the stories of sexual harassment. An avid #MeToo campaginer, who brought the downfall of Hollywood mogul, Harvey Weinstein also applauded Meesha for speaking out. Sanam Saeed lauds Meesha for her stance. 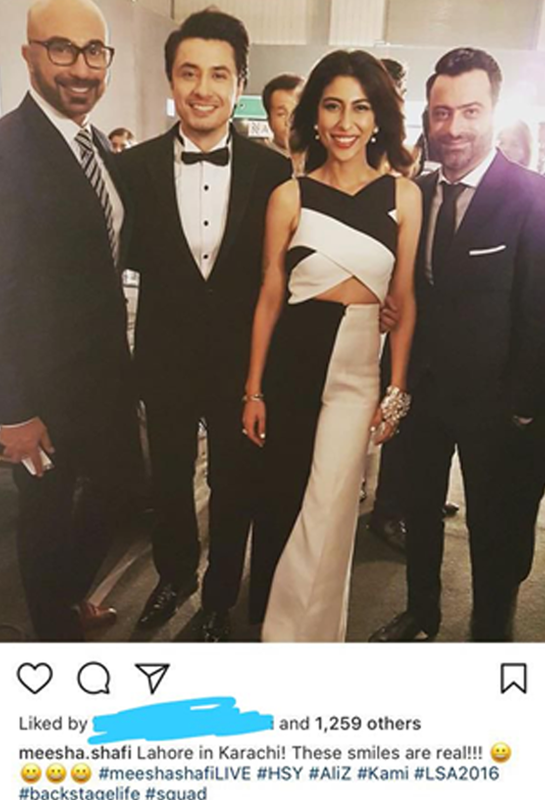 Pakistani-American actor, Faran Tahir, who has worked beside Robert Downey Jr in Iron Man called Meesha a pioneer and vowed to stand with her. 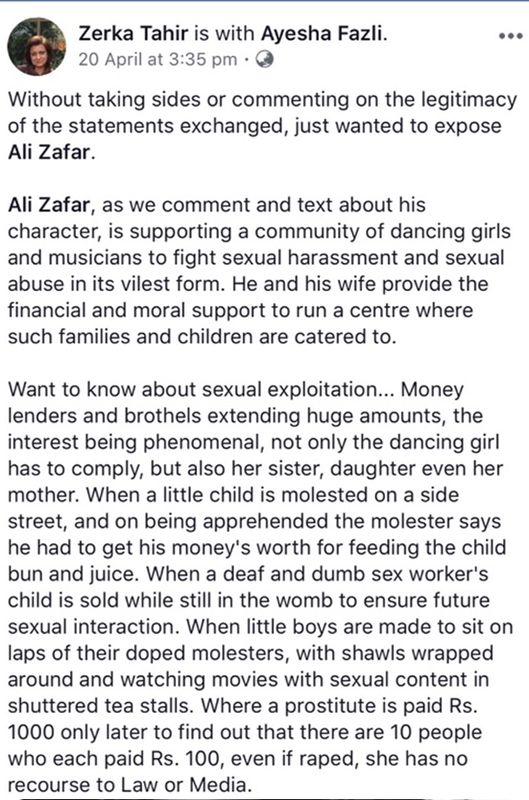 Celebrity and Ali’s co-star for Teefa in Trouble, Maya Ali comes out in support of the actor with a public statement. Meesha’s lawyer confirms she has received a legal notice on account of defamation.